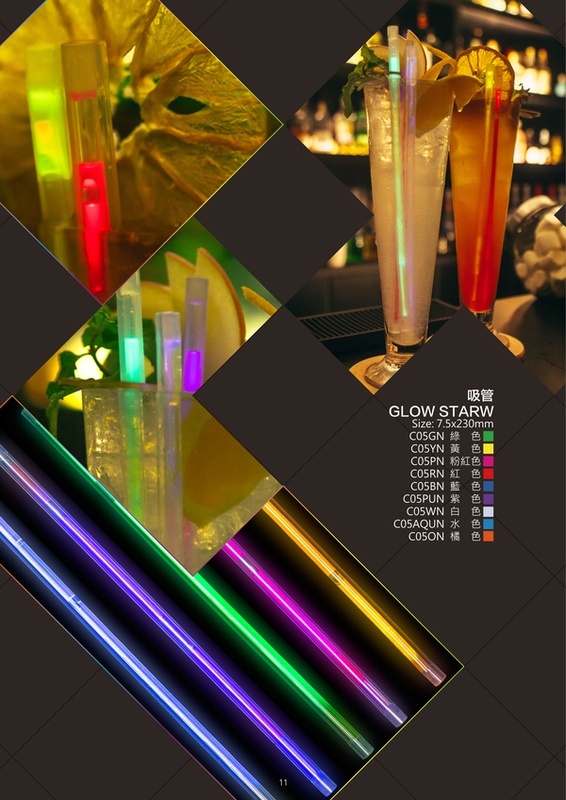 Add some excitement to your drink, with our new patented one time use glow straw. Our new design allows the liquid to go up thru the center of the straw, and is made from food grade plastic. Tel : 886-6-5994996 Fax : 886-6-5996387 E-mail :lightkee@ms71.hinet.net　Address： No.575-1 Da Sher Vill.,Shing Shi Hsiang,Tainan Hsien,Taiwan, R.O.C.